Everyone’s taste is music is personal and subjective, and probably never moreso than when it comes to holiday music. I’ve been loading my favorites on my iPod the past few weeks, so here’s my list. and a few other tracks from various choirs. That’s my list! I’ve been enjoying it all week. I’ll probably add more next year, but this is plenty for now. This entry was posted in Holidays, Podworthy on December 10, 2011 by Todd. Last night Ellen and I saw James in concert at the Borgata Hotel and Casino Event Center. It was a great show. I think this is the third time I’ve seen James live, and he’s as sharp and energetic as ever, very funny and entertaining when speaking as well. He did two sets, each about an hour, and there wasn’t a dull moment. His band is terrific, and it’s a good-sized one with four singers, keyboardist, sax and trumpet, base and electric guitar, drummer and percussionist. 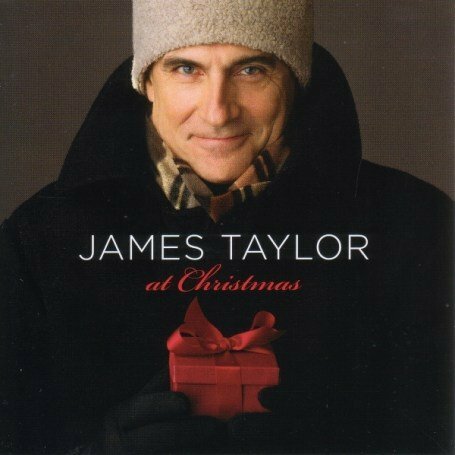 At times, as above, James sits in the spotlight and plays favorites from early in his career like “Carolina In My Mind” and “Sweet Baby James” with quiet accompaniment. Other songs like “Steamroller” and “Your Smiling Face” let the band rock out. James told some stories I hadn’t heard from him before, as when introducing “Something In The Way She Moves,” which was his audition song before McCartney and Harrison for their new Apple label. It got him the job, and he mentioned what a wonderful experience it was recording his first album for them between Beatles sessions that became their White Album. Other great stories ensued, and James was funny with audience comments, too. When people called out song requests, he held up the big playlist board lying flat on the stage next to him, pointing out the ones they’d asked for, or later just pointing at the board and either making an “OK” sign or a sad shrug. There were several encores to a standing ovation crowd. The event sold out almost immediately when tickets went on sale. I missed that, and had to pay outrageous scalper prices online, but it was well worth it, and I’d do it again in a minute. Long may he sing! This entry was posted in Family and Friends, Podworthy on May 22, 2011 by Todd. 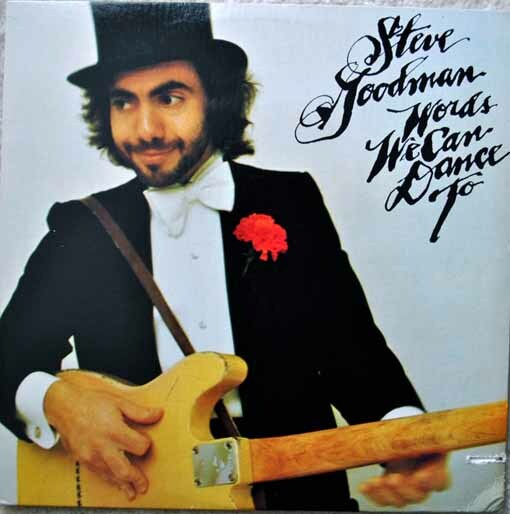 I’m not sure where I first heard of Steve Goodman, but it was probably on WNEW-FM radio out of New York in the mid 70s, where he appeared live on the Vin Skelsa show yearly. I liked his original songs, which were folk with a country or blues flavor at times, and often a healthy helping of humor and satire. It wasn’t until he died in 1984 at the age of 36 that I learned of his long battle with leukemia, something that went on behind the scenes through his entire recording career. It’s a sad story, he went too soon. You can read more about it on his Wikipedia entry. 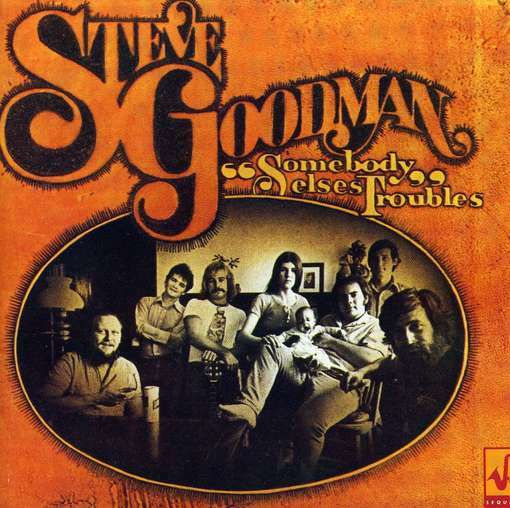 The second Buddah album from 1972 is probably my favorite Goodman record, with many great songs like “Chicken Cordon Bleus,” and “Lincoln Park Pirates,” as well as the title track. Love them all. “Words We Can Dance To” has more gems like “Old Fashioned,” “Between the Lines,” and “The Glory of Love.” Like all these, too. 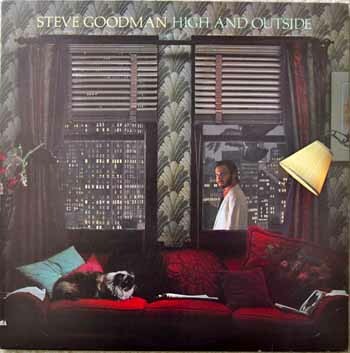 With “High and Outside” in 1979, Goodman seemed to be losing his edge, and there aren’t any songs on this album I love, and a few I don’t care for. Now I can guess that his illness might have been taking a higher toll on his ability to write songs. 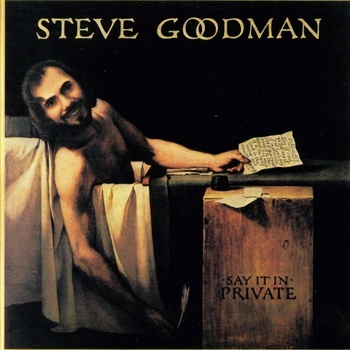 His 1980 album, “Hot Spot” was one I didn’t care for at all, and it ended his time on Asylum, but Goodman came back with his own label, Red Pyjamas, starting with a live concert release, “Artistic Hair” in 1983. I like it, but since I already have all the songs in studio versions, I don’t have it on my iPod. 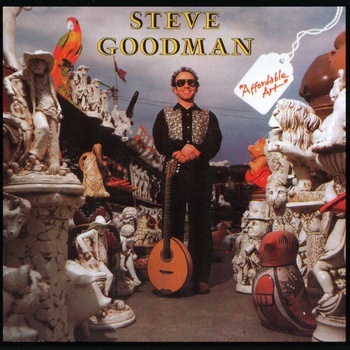 “Affordable Art” from 1984 was Steve apparently back in fine form with some great new original songs including “Vegematic,” “Talk Backwards,” and “A Dying Cub Fan’s Last Request,” and I like most of the album. Sadly, it was the last to be released before his death. 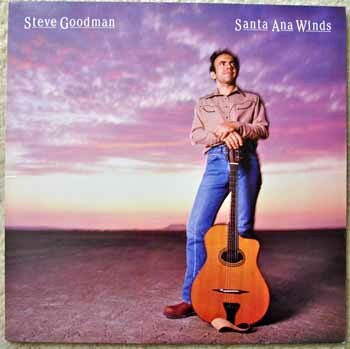 “Santa Ana Winds” was released posthumously, and while I have it, I don’t like it enough to put it on my iPod. There are several later records released on the Red Pyjamas label I haven’t heard, including “Unfinished Business,” which sounds promising. I’ll have to get it one day. 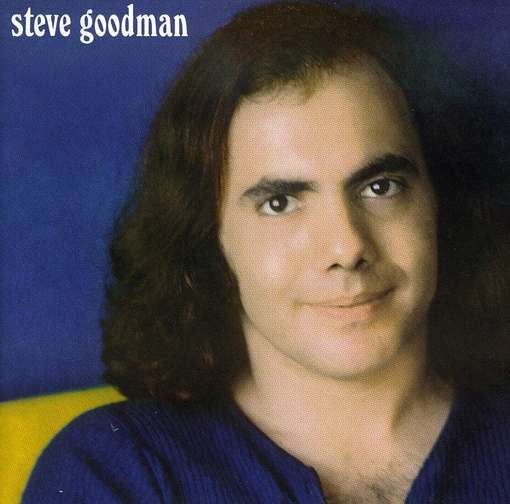 Meanwhile, I have 65 Steve Goodman songs to listen to and add to my iPod mix. 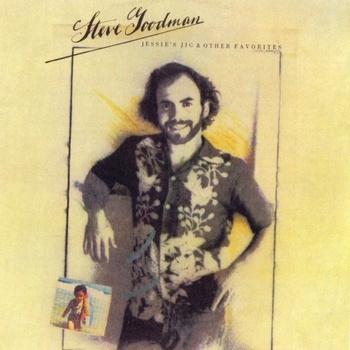 If you haven’t heard any of Steve’s music, I suggest you give him a try. This entry was posted in Podworthy on March 12, 2011 by Todd. 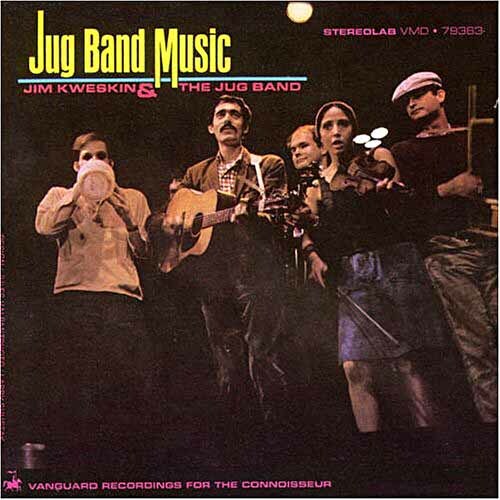 When I started listening to and buying folk music albums in the 1960s, one of my favorites was this group, shown above on the cover of their first album. 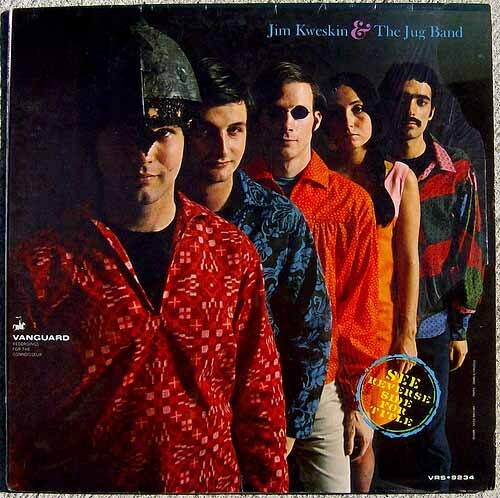 Unlike much of the folk music movement of the time, Kweskin’s group seemed to be having a lot of fun, and much of their music had a lively enthusiasm and a sense of humor that appealed to me. Even the instruments were entertaining. In addition to guitars and banjo, they used traditional homemade instruments like washtub base, jug, washboard and kazoos. The sound was inspired by the original jug bands recorded in the 1920s, I believe, on 78rpm records, though I have never had the chance to hear any of those. Kweskin also drew from other traditions: blues, ragtime, music hall favorites, popular songs of the 30s and 40s, even a few from the 50s. I’ll link below to an Amazon site where you can listen to samples. I’d recommend “Crazy Words, Crazy Tune” as a good example of what the group was all about: fun, irreverent, funny, but excellent musically. 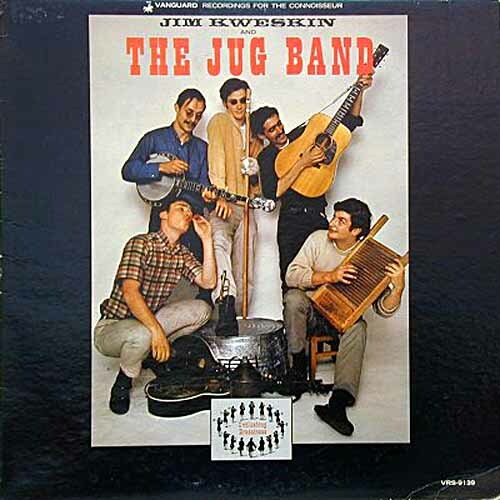 Kweskin was originally playing solo in the Boston area folk clubs and coffee houses, often partnered with Fritz Richmond, who became a virtuoso on the washtub bass and jug, with other players joining in randomly. Someone from Vanguard Records heard them at a club and asked Kweskin to sign his “group” to a record contract. Kweskin replied that there was no group, but give him a few months and there’d be one. Kweskin gathered Geoff Muldaur, a fine blues singer with a clear, high tenor voice, and banjo player Bill Keith. Other early members were Mel Lyman, usually on harmonica, Bruno Wolfe and Bob Siggins. 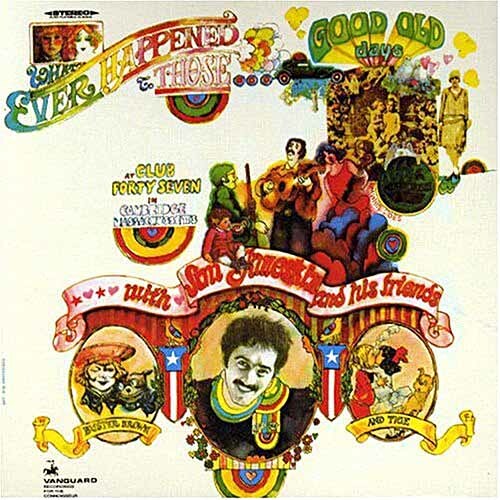 They dropped out and were replaced by Maria D’Amato on vocals and fiddle—later Maria Muldaur, shown on their second album cover above. With this second album the group got tighter, and the vocals became even better. 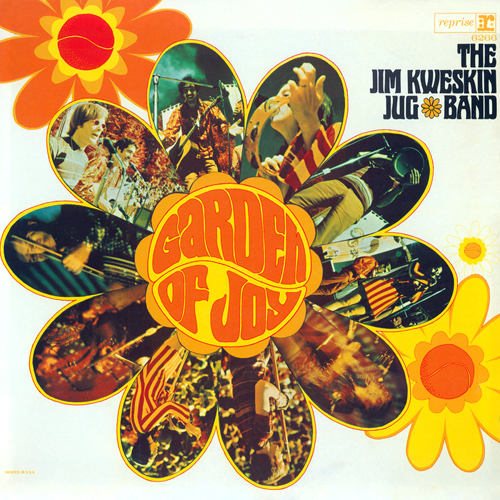 Kweskin’s own voice was perfect for the uptempo numbers: loud and emphatic with a cutting edge that stood out well over loud instruments, while the Muldaurs were both fine blues singers, great on ballads and blues. Maria also had a clear, high soprano when needed, and was good on the kazoo. The group’s third rcord, “See Reverse Side for Title,” is to me their best, taking all they’d accomplished so far and kicking it up a notch. I beleive that’s Richard Greene in front, followed by Geoff Muldaur, Fritz Richmond, Maria Muldaur and Jim Kweskin. As you can see, they were becoming influenced by the times, with colorful attire and on this record some hippy-sounding arrangements and songs. The group was playing larger venues like the Fillmore West in San Francisco now, and doing quite well. For their fourth album the group signed to a new label, Reprise, part of the Warner Brothers family, and seemed poised for even bigger things when Kweskin decided to disband the group. The album is uneven, with many good songs, but also a few that miss the mark for me. It became their last as a group, though Reprise kept both Muldaurs on the label, and they both went on to long solo careers, each having one big hit. Maria’s was “Midnight at the Oasis,” and Geoff’s was “Brazil” from the soundtrack of the film by Terry Gilliam. Both continue to record today, and Geoff in particular has made some fine music. 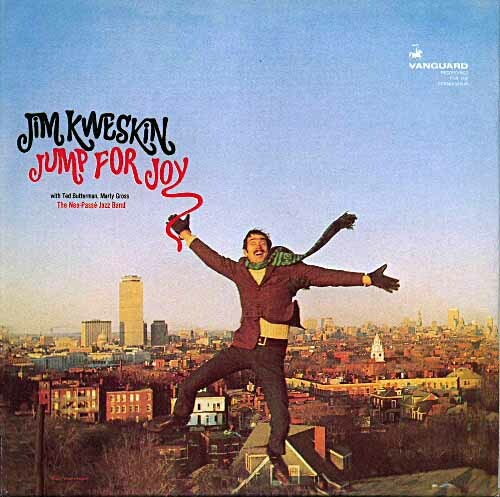 Kweskin resurfaced in the late 1970s as a solo artist on small labels, continuing to record occasionally. His solo records are pretty good, but never reaching the heights attained in the group. Fritz Richmond played in small bands and became a sound engineer, occasionally touring with John Sebastian and others. No one else ever came close to his abilities as a jug player. Sadly, he died a few years ago. Bill Keith continued to play banjo with bluegrass bands. Richard Greene joined the rock band Seatrain, and went on to be an in-demand player in a variety of styles, and is still playing today. …and this one with just Fritz and Mel Lyman. Both have quite a few songs I like, and a few I don’t care for. 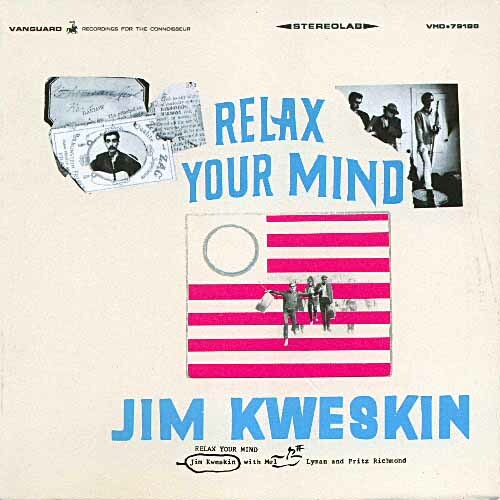 Kweskin also did this album with the Neo Passé Jazz Band, and it’s quite a good listen, pairing Kweskin’s music hall style vocals with a larger band, including horns. I like it a lot. 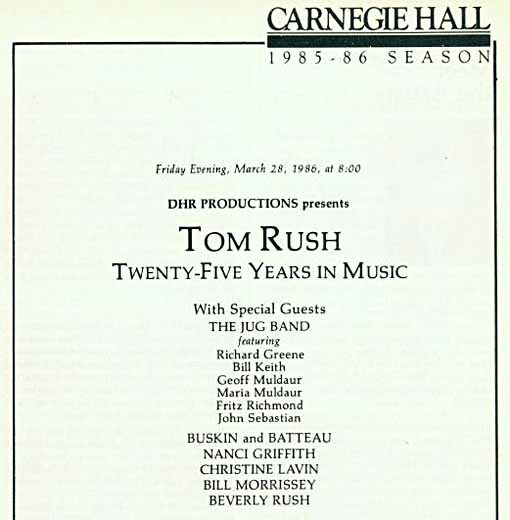 I never got to hear the group perform in their heyday, but did hear all but Kweskin play together at this Carnegie Hall concert in 1986, with everyone sounding great and John Sebastian filling in for Kweskin, who apparently didn’t want to be part of it. 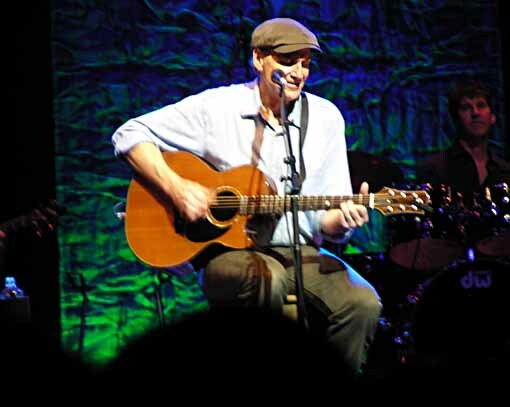 I also saw Sebastian live with Fritz Richmond and Geoff Muldaur in the 90s, another fun show, when Sebastian was touring with his “J Band,” and doing a lot of jug band music and blues. Nearly all the songs on these albums are on my iPod, except for a few on “Relax Your Mind” and “Club 47,” and one long shaggy-dog story on “Jump For Joy,” which isn’t really a song anyway. Ellen calls it “corny music,” but I love it. This entry was posted in Podworthy on February 27, 2011 by Todd. I’m not sure when I first heard Joni Mitchell’s songs, at least knowingly. By the end of the 1960s I was listening to WNEW-FM radio out of New York City, and I’m sure they played her music there, but I probably heard her songs “Both Sides Now” and “Urge for Going” performed first by Judy Collins and Tom Rush respectively. I think “Clouds” was the first Mitchell album I bought, and I loved it, so soon after bought her first album, “Song To A Seagull,” and loved that as well. 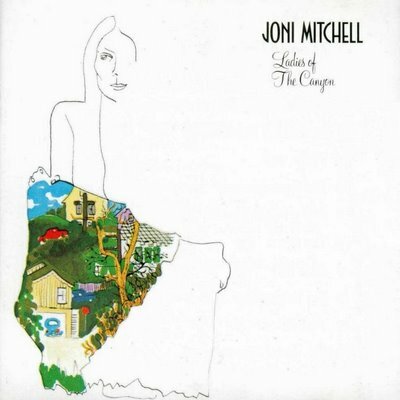 By the time her third album, “Ladies of the Canyon” came out in 1970, I have to admit I had a bit of a crush on Joni. Her voice was so clear and pure, almost piercing at times, but always with an emotional edge that moved me. I played her first three albums constantly in the early seventies, and I still love them, though maybe not quite as much. Back then the thread of sadness and melancholy that runs through her work appealed to me more than it does now (though there’s plenty of other aspects to it that I still like). More than a singer, Joni is an amazingly talented songwriter, and as I was trying to do that too, I was drawn to her poetic words and phrases as much as her tunes. All the songs from Joni’s first three are on my iPod. In Joni’s fourth album, “Blue,” the dark, sad thread was stronger, and I didn’t like it as much, but still played it a lot, and it’s grown on me over time. 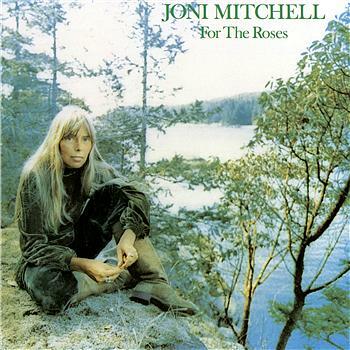 “For the Roses,” her fifth album put Joni back in my favorite female singer/songwriter spot. Lots of great songs, including some rockers like “You Turn Me On, I’m a Radio,” and “Electricity.” Still some melancholy, but not as much as “Blue.” I have all the tracks from those albums on my iPod as well. 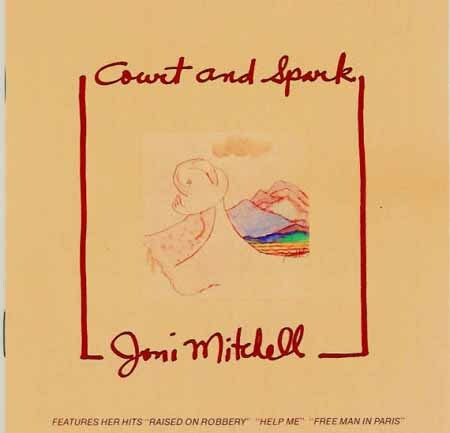 The sixth album, “Court and Spark” was another winner, with lots of great songs, in a variety of styles, including rock, folk and jazz. Joni was continuing to grow as a performer and a writer. All these are on my iPod, too. After that, Joni and I began to part ways. I continued to buy her albums (still do) but found less on them that I loved. “The Hissing of Summer Lawns,” for instance, has not one song I wanted on my iPod, nor does “Hejira.” While I appreciate the art in those albums, the songs just don’t appeal to me that much. The dark thread is deeper, and the move further and further into jazz, and away from folk left me behind somewhat, not being a huge jazz fan myself. Perhaps my least favorite album is “Mingus,” but I also have a reason to like it. Thanks to a radio contest, I won two tickets to see Joni live in Forest Hills, NY while on tour supporting this album, and she was wonderful. Even some of the songs from “Mingus” were much better live than on the album, and she did many of her past hits too. Of Joni’s later work, I have four tracks from “Night Ride Home” and two from “Chalk Mark in a Rain Storm” on my iPod, and that’s all for now. I may reconsider some of the others and put them on later, but that brings the total to 72 tracks on my iPod. 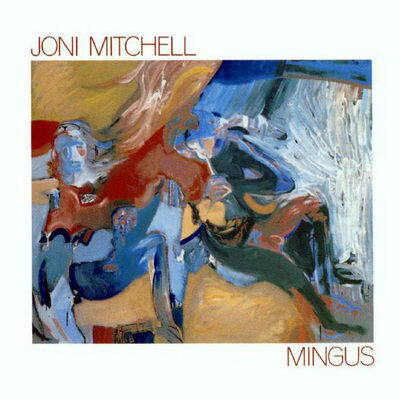 Joni’s earliest work is still my favorite, even some of the darker ones. If I’m not feeling too good myself, I tend to skip past those, though. This entry was posted in Podworthy on February 20, 2011 by Todd.